Istanbul walking tours offer excursions in the city ranging from three hours to full day. Weather you choose to be part of a group or to have an individual guide, you are guaranteed the best knowledgeable certified professionals to accompany you. Have fun and ask questions! Discover two most prominent attractions of Istanbul - the Hagia Sophia museum and the Blue Mosque, an active mosque from Ottoman times. Let knowledgable tour guide walk you through the nearby German Fountain given to Turkey as a gift from Germany and the Hippodrome, an area for social gatherings and important sport events of Constantinople. This is a morning walking tour in and around Sultanahmet district of Istanbul. You will be done by noon time. Enjoy your small-group (up to 15 people) morning walk in Istanbul's heart. Your tour includes hotel pick up, Hagia Sophia entrance fee and your group guide. (!) Monday tours have Basilica Cistern visit instead of Hagia Sophia. Join this shortest of all Istanbul walking tours. Perfect choice if you are short in time. You will see major Istanbul attractions - Hagia Sophia, Blue Mosque, Topkapi Palace, Hippodrome and the Grand Bazaar. Tour guide will make sure you learn all the basics about top sites first-comer needs to know. You will get help acquiring a Museum Pass (upon request) and get tips on using metro system. Your tour starts at the Hippodrome and ends at the Grand Bazaar. This is a small-group tour (9-12 people). Morning and afternoon express tours available. Take this small-group (8 people) walk around Istanbul's major attractions. Informative tour guide will take you to Hagia Sophia museum and the Blue Mosque to start your morning with detailed excursion into the past. See for yourself how two constructions played such an important role during the rule of the Ottomans and today. Then find yourself at the Hippodrome, currently Sultanahmet square, and hear out how people of Constantinople entertained themselves there in the past. Pay attention to parts of historical monuments that are still present at the Hippodrome. After a lunch break be ready for an authentic shopping experience at the Grand Bazaar - one of the oldest covered markets in the world. Round up with a long walk through the Topkapi Palace where Sultans, their families and servants spent their days. Wear comfortable shoes. Prepare your cameras and have fun! Price covers all entrance fees. Be part of the most unusual of Istanbul walking tours. Trust local guide to take you to Istanbul street art and tell you the stories behind. 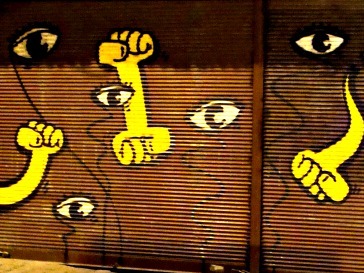 Even foreign artists contributed to the street art in Istanbul. You will walk through jewels on the European side, take a 30-minute ferry ride along the Bosphorus and find yourself on the Asian side. Meet on Istiklal Avenue in Taksim to start your tour. You will finish off in Karakoy port on the Asian side. Take one of the most diverse of all Istanbul walking tours. 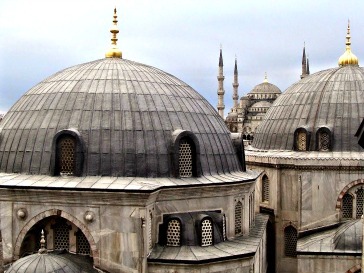 Dive into the lives of Ottomans, Jews and Greeks in Istanbul. Start off at Sultanahmet square which once was known as Hippodrome of Constantinople. Let the knowledgeable guide tell you stories of the square and take you step by step through attractions of Istanbul - the Blue Mosque, Grand Bazaar, Old Book Bazaar, campus of Istanbul University, Suleymaniye Mosque, Spice Bazaar and Church of St. George. Trust your guide to take through unusual routes, the off the beaten path backstreets of Istanbul for a true experience of the city. Visit Fener district of the Greeks and Balat disctrict of the Jews. Enjoy the colorful houses around you, a number of places of worship and authentic eateries. On your way back you will take a ferry from the Balat to Eminonu. Your tour includes beverages and Hookah, entrance and transportation fees. 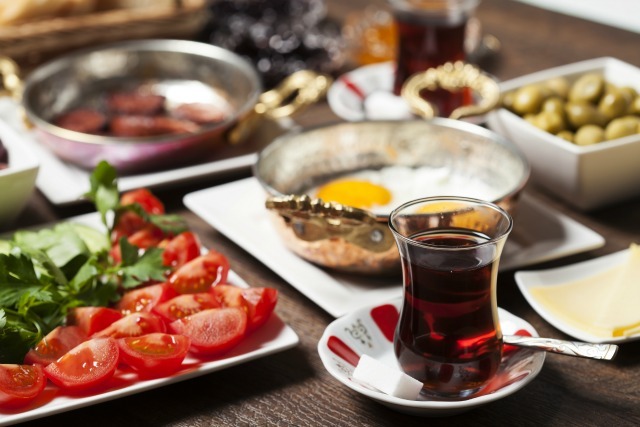 Start your morning in Istanbul with a trip to a cafe in Karakoy district for a rich tasty Turkish breakfast and then off to a market tour by a ferry over the Bosphorus. Your local guide will tell you all about culture and history of Turkish food and little streets of Kadikoy district only locals know about. You will taste various foods along your journey. This is a 5.5 hour tour with breakfast included. Join a small-group to see heart of Ottoman's life - the Topkapi Palace. Your tour guide will walk you through rooms of this grandiose complex where Sultans lived, worked and received guests. Then proceed to the World's largest covered market - the Grand Bazaar. 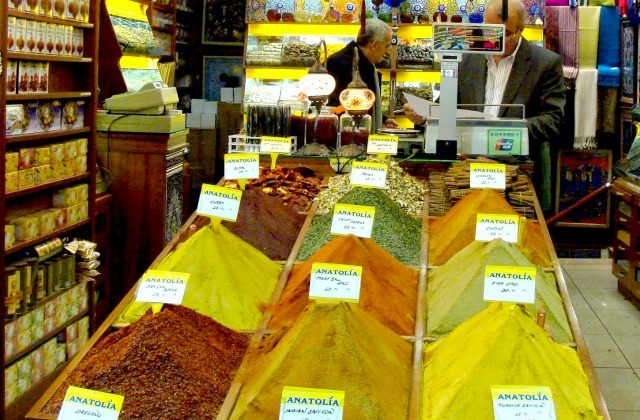 Let the guide tell you about the small streets, sections, authentic shops with Turkish fast food and secrets of the heart of trade - the Grand Bazaar. Spend your time on the shore fruitfully. You will be picked up from and dropped off to your port. Historical train station, Tunnel, Galata, Beyoglu districts. 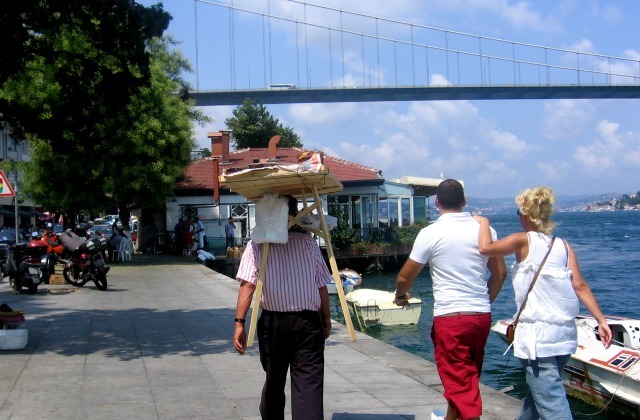 Spend your afternoon in the most non-traditional of all Istanbul walking tours. 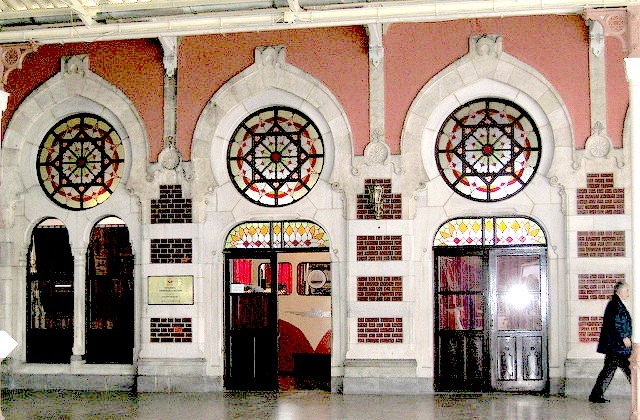 Your tour guide will pick you up from your hotel and bring you to the historical train station Sirkeci. Built in the 19th century the train station was widely used by diplomats and locals alike to reach Istanbul from Paris and other cities in Europe. Hear out all the stories of that time and let the knowledgeable guide walk you through nearby mosques and churches, markets and small streets. English crime novelist Agatha Christie was inspired by the Sirkeci train station and wrote an all time classic "Murder On The Orient Express" in 1934. A movie with the same name was shot in 1974. Take a boat down the Golden Horn and enjoy the view of Istanbul. You will tour Beyoglu and Galata districts of Istanbul with a ride in a historical Tunnel subway. Entrance fees are covered by the price. You will be dropped off at your hotel by a minivan. Treat yourself to a royal walk of life of the Ottomans. Private tour guide will take you through the Topkapi Palace where Sultans and their families lived, Suleymaniye Mosque - the largest Ottoman mosque, Spice Bazaar which once was a meeting point of world traders and more structures that helped the Ottomans function. This is the most detailed of all Istanbul walking tours. You will be picked up from and dropped off at your hotel. -Book Old city private walking tour (2)- 8 hours. 92 USD. Get ready for an informative day in the heart of historical Istanbul. Meet your private tour guide in the lobby of your hotel and off you go at 10:00 am. Start with the magnificent Blue Mosque built by the Sultan Ahmet I and learn why the construction raised controversy in the Muslim world. 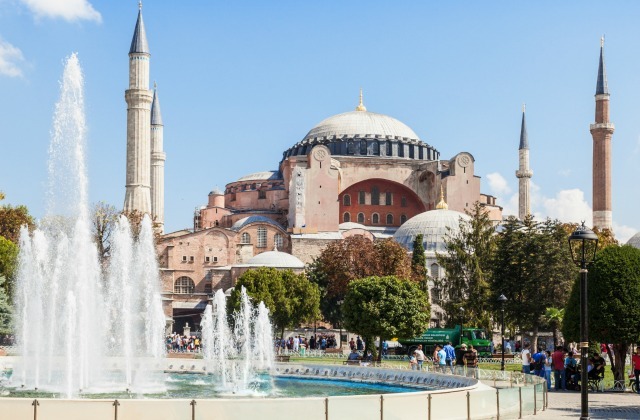 Continue to the breathtaking Hagia Sophia museum and find out what an important place of worship the construction was both for Christians and Muslims. Let the information sink in during a break for lunch. Choose your own place to eat among numerous street shops. After lunch let the guide bring you to the underwater palace the Basilica Cistern. Ask the guide how the construction was forgotten and then rediscovered by a foreigner in Istanbul. Your tour includes walk through monuments at the Sultanahmet square which once was a Hippodrome, city's important part of social and sports life. All entrance fees are included in the price. Book with a friend. Two people per booking is required. Get this classic Istanbul walking tour and learn all about the four attractions all tourists must see. 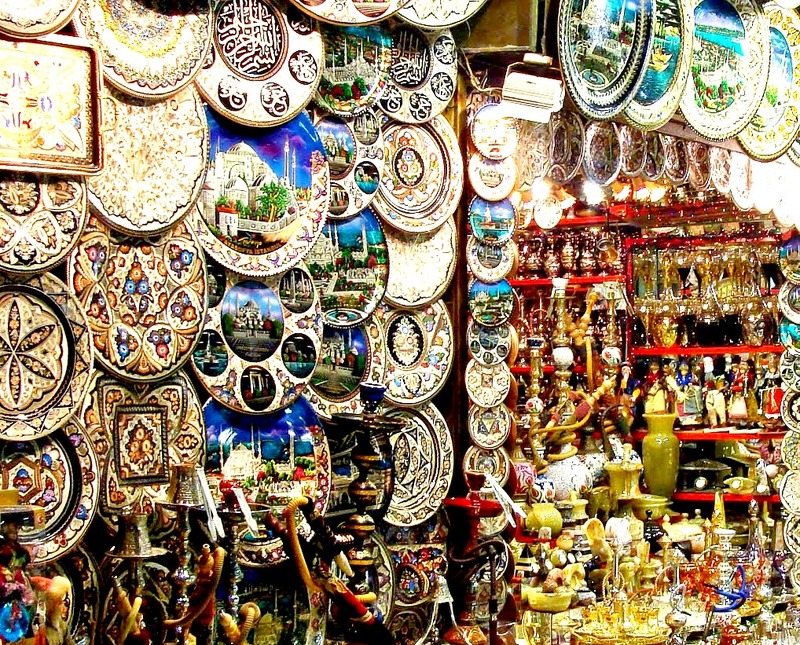 Visit the Blue Mosque, Hagia Sophia, Topkapi Palace and end your tour with shopping at the Grand Bazaar. Minimum of two people per booking is required. Hotel pick-up and drop-off is included in the price. Walk with informative personal tour guide and let him bring the history to you. Spend a day discovering Ottomans' important spots. Start off at the Hippodrome (now Sultanahmet square) and let the informative tour guide tell you all about the events that took place here in the past. Proceed to the Blue Mosque, the first Muslim mosque built by Sultan Ahmed I after Constantinople was conquered and became Istanbul. Your day will wrap up with an exciting walk and shopping opportunity at the Grand Bazaar. You will be picked up from your hotel at 9:30 in the morning. Lunch and entrance fees are included in the price. You are guaranteed a friendly and knowledgeable tour guide. You will also be dropped off back at your hotel.